Dr. Joanne Bando is a recognized pulmonologist in Santa Monica, California. She received her medical diploma from the University of California Davis School of Medicine in 2002. 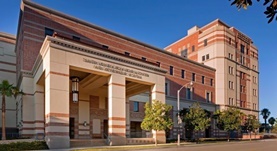 Dr. Bando completed her medical education with a residency in internal medicine and a fellowship in pulmonary disease and critical care medicine, both at Cedars-Sinai Medical Center. She is certified by the American Board in critical care medicine, pulmonary disease, and sleep medicine. 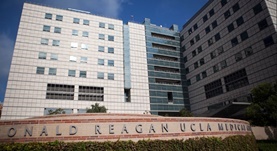 Dr. Bando works in several hospitals in the area, including Ronald Reagan and UCLA Medical Center Santa Monica. Dr. Joanne Bando has contributed to 3 publications. Effects of malnutrition with or without eicosapentaenoic acid on proteolytic pathways in diaphragm. Bando, J. M., Fournier, M., Da, X., Lewis, M. I.; Respir Physiol Neurobiol. 2012 Jan 15. A multiethnic study of Delta32ccr5 and ccr2b-V64I allele distribution in four Los Angeles populations. Iyer, R. K., Kim, P. S., Bando, J. M., Lu, K. V., Gregg, J. P., Grody, W. W.; Diagn Mol Pathol. 2001 Jun. Cloning and characterization of the mouse and rat type II arginase genes. Iyer, R. K., Bando, J. M., Jenkinson, C. P., Vockley, J. G., Kim, P. S., Kern, R. M., Cederbaum, S. D., Grody, W. W.; Mol Genet Metab. 1998 Mar.